Pair of cute. brown. 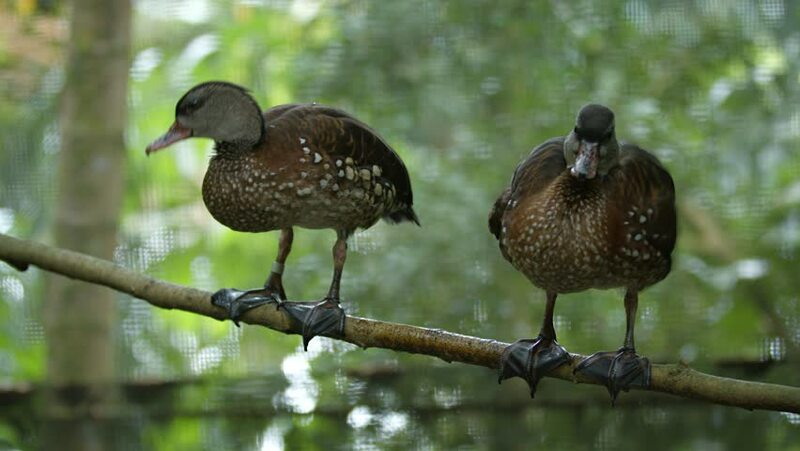 domestic ducks. with white speckled feathers. perched side by side on a tree branch. hd00:16Young Starlings feeding in urban house garden.